2017 has been a big year for the heavyweight champion but as WBO champion Joseph Parker’s team pointed out recently, he’s far from unbeatable. Although – when it comes to heavyweight boxing – no one is, in fairness. The division where one punch really can change not just the course of a fight, but someone’s career forever. 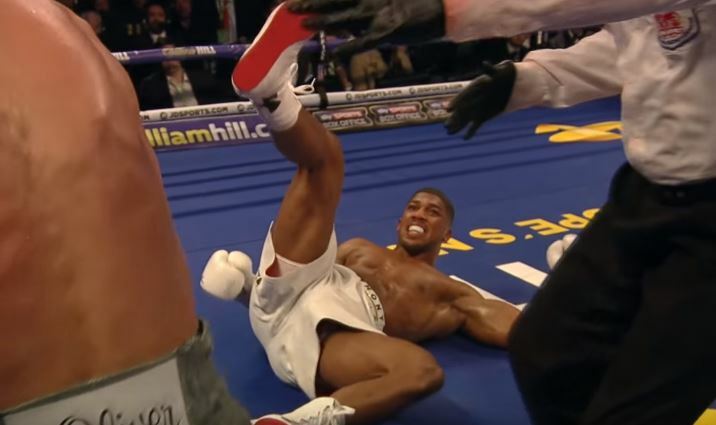 Joshua has shown excellent heart in his career thus far in that when he has been wobbled or put down, he’s either come back fighting harder and won, or got up off the deck to win. An interesting summation of some of the punches that Joshua is open to sometimes. That big right hand down the middle from Klitschko in particular was a shot that would have dropped anyone. How he got up from it and then go on to stop Klitschko later in the bout really deserves some genuine credit, showing not just that he has a big heart, but his gas tank can get a second wind in a fight too. No doubt though that some of his opponents next year will be looking to the above in terms of putting together their game plans.